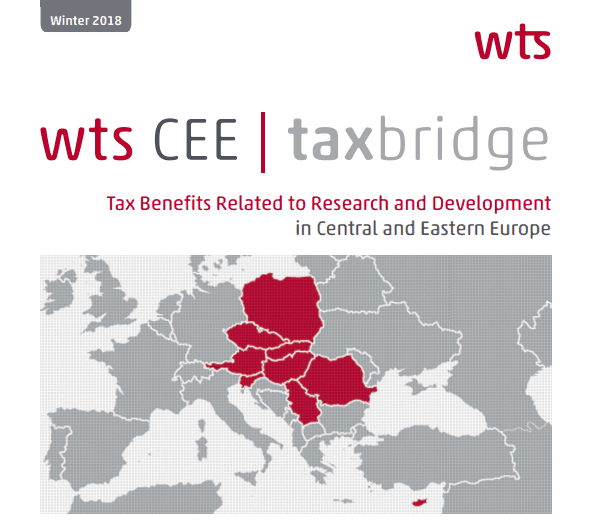 In the last issue of our 2018 CEE newsletters we present you the tax incentives related to research and development costs and royalty revenue in nine CEE countries. We also look at whether there is any intellectual property box (IP box or patent box) scheme in these countries helping investors optimise their tax burdens. Clearly, research and development is a major cost element for companies, and it is hard to predict if such developments will bring (create) or take money. Companies engaged in research activities within a group sometimes operate independently from the money and revenue-making entities engaged in retail and manufacturing, meaning that such costs are not deductible at the overall group level (assuming group taxation is not available). In this respect Hungary is somewhat different, since there is a special rule allowing affiliated companies to share such costs. We also see a trend whereby one option to attract foreign investors engaged in technology-driven sectors is simply allowing the double deduction of research and development costs (the Czech Republic, Hungary and Serbia) or letting them claim a research tax premium for certain research and development expenses, like in Austria. Patent box schemes are spreading across the CEE region too, and if we look at the Cypriot tax system, where taxpayers are eligible to claim a notional tax deduction equal to 80% of net qualifying profits resulting from the business use of qualifying IP, we could say that investors are spoiled; however, it is not so easy to choose between the countries offering the various patent box schemes. Should a client choose the relatively new Slovak patent box system available from January 2018, or should they decide to establish a company in Poland and benefit from the new IP box incentive, which will enter into force from January 2019? If you vote for the Polish system you can use a preferential corporate income tax rate of 5%, compared to the standard rate of 19%. In our articles you can learn about the slight differences between these systems and read general information about IP regimes and related cost deductions. We hope you will find our articles informative and useful, but please bear in mind that before starting anything you should contact your local tax advisor to understand all the rules and requirements in detail. If you are interested in more news about taxation and legislative amendments in the Central and Eastern Europe Region, please feel free to sign up for our newsletter!